Product / Service or product / service groupings. Within the product / service income analysis look in detail at the best and worst sellers, the ones with the best margins, the smallest returns, the biggest growth, the biggest decline and the ones you’re putting the biggest investment into in terms of people, premises, overheads, marketing and time. Look also in detail at your key customer spend patterns creating league tables of top 10/20/50/100 spending customers. This will act as a reminder of who your key customers are and give yourself a chance to ask just what sort of level of service you are providing these top spenders. In most businesses the 80:20 rule applies when it comes to customer spend – that is 80% of your revenues will come from 20% of your customers. Do a year-on-year comparison so that you can create within the analysis of your top spending customers a separate analysis showing those that have grown their spend and those that have reduced spend. If you take your top 100 spending customers inevitably there will be those that have grown spend year-on-year and those that have reduced spend. This simple analysis will start a conversation within your organisation about how you continue to grow the increases and what you can do to halt the reductions. The above will help you identify where your focus should be in 2019 in order to grow sales. Concentrate your efforts on the products, services and sectors where you have seen growth and move your resources away from the areas which have shown decline. Be prepared to stop selling products that are not profitable, particularly if they take up a lot of your time and resources and likewise if you are a service provider stop working with those customers who give you very little, if any, actual profitable return. These customers who produce little return are usually the ones that take up a lot of your time, often known as high maintenance low return customers. It can be quite a motivational moment when you ‘reverse sell’ a customer, in other words you persuade them to stop buying from you! Try it and see how it feels! Setting targets gives you and your team something to aim for. How will you know if you’ve been successful, and indeed how can you celebrate being successful if you aren’t chasing a target? Targets can be really motivational handled in the right way. They need to be challenging yet realistic, focused yet easy to understand, detailed yet easy to measure. Make sure you have in place therefore a system which efficiently produces sales results against targets which you can then review either on a monthly or quarterly basis. According to Byron Sharp in his book ‘How Brands Grow’ all businesses need to attract new customers in order to grow, so part of your sales planning 2019 needs to be your ideas for attracting new customers including an analysis of what sort of organisations or individuals they are. One of the tools you can use to help you achieve this is the Value Proposition Design created by Alex Osterwalder – check it out at strategyzer.com This business model puts you in the shoes of your potential customers and then helps you identify whether there is a fit between what they need and what you are offering. You can test this out by trying to buy products and services through all those channels from your own company or hiring someone to do some mystery shopping. This can be a really valuable exercise because it will identify sales barriers that you may not be aware of. Once the sales barriers are identified clearly you need to do whatever it takes to remove them. Bear in mind that it is reckoned that 70% of buying decisions are now being made before any direct contact is made with the organisation, so if I have decided to buy from you and then when I finally make contact I come across a barrier that stops me buying you have lost my business. So check to ensure that all barriers to sales are removed from your buying process. As customers we largely want to have an enjoyable buying experience. In a digital world we increasingly engage less with real people so when a customer opportunity comes along make sure that you offer an enjoyable experience. Ensure that all your people who have direct contact with customers are very knowledgeable about all your products and services as well as the sector you operate in. Employ salespeople who are good at asking questions, listening carefully to answers, not interrupting and are able to clarify and confirm what customers are looking for. Don’t employ salespeople who have the gift of the gab or can sell ice to Eskimos. You want salespeople who are better at listening than talking. Not talking will get you more sales than talking so knowing when to shut up is a key sales skill! Likewise people skills is a key sales skill. Salespeople need to be able to comfortably start and develop conversations and build relationships that create a sense of liking and trusting of you from the customer’s point of view. Being a people expert is a highly prized sales skill. Recognise that customers want to be in control of the buying process, they don’t want to be ‘sold to’. One of the best ways of achieving this is to give the customer alternatives, ideally three so that they can make a choice of what they want to buy. Those three alternatives need not be vastly different from each other but by offering three you are letting the buyer buy. If you offer one choice it becomes take it or leave it. Don’t go racing to a no. This idea comes from sales guru Brian Burns. The concept is simple. Don’t rattle off your entire sales pitch as quick as you can without asking any questions or trying to engage in a conversation with your potential customer. All you are doing is encouraging the buyer to say No. Take your time and go slowly to a Yes. That’s it. I hope these tips and ideas will be useful to you as you plan to grow your sales in 2019. If you need some help setting and then achieving your sales plans and goals or you need your sales team to be re-energised or you simply want some input into a sales ideas session then let’s have a conversation about how I can be of help to you. 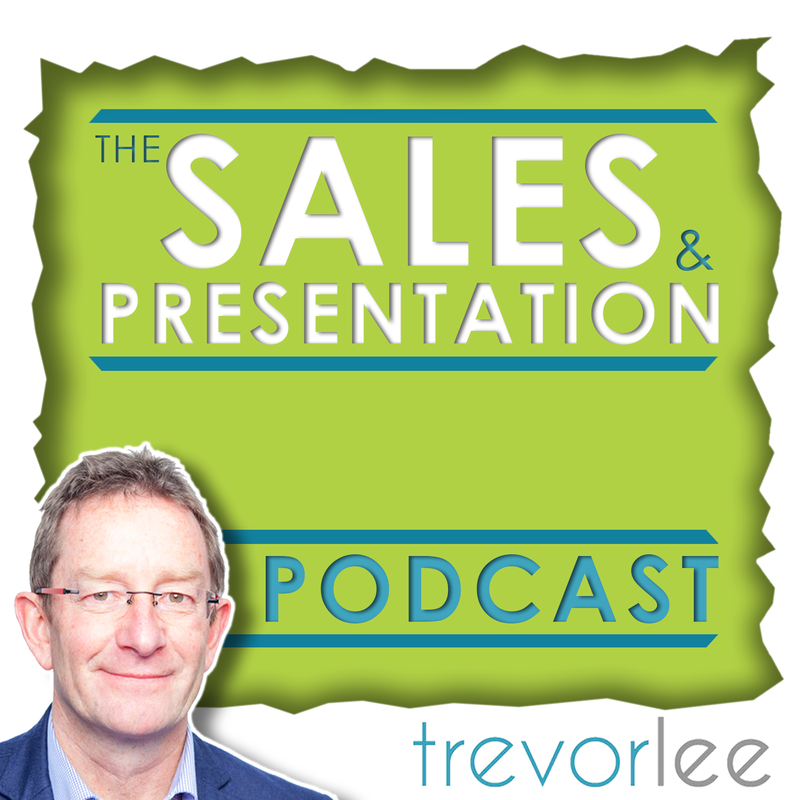 You can reach me, Trevor Lee, on 07785 390717 or email me via trevor@trevorleemedia.co.uk.